If you’re looking for a reliable way to watch the Premier League 18/19 without cable then this is the guide you need. In this guide I’m going to show you how you can watch all the Premier League matches on official streams without the need to have a cable subscription. So if you can’t get the Premier League in your country or you don’t have cable then you can still watch. The Premier League is the best football league in the world without question. However, if you don’t have certain subscription packages or cable channels you can often be left out in the cold being unable to watch. If you’ve already searched for cheap or ‘free’ ways to watch the Premier League then you’ve probably been hit with tons of sketchy streams which are not only illegal but can put the security of your device at risk. 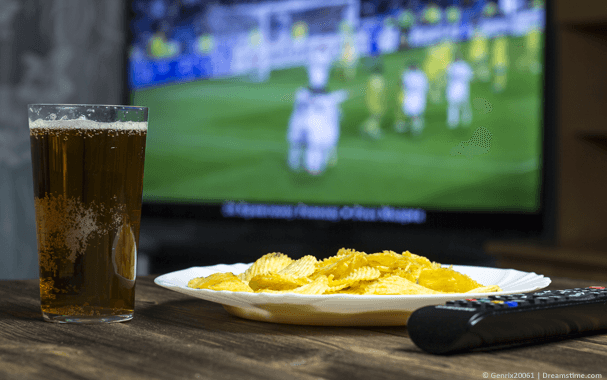 No need to bother with those, find out how you can watch the Premier League 18/19 cheaply without cable below. The Premier League is shown around the world in most countries and each country has a different level of access. Some countries show matches free, others require a small subscription and some require you to have access to a cable network showing the games. In Taiwan the service Eleven Sports Network shows nearly all Premier League matches online including games such as ‘3 pm’ kick-offs. Eleven Sports Network costs just £23 (US$ 30) for the entire seasons! If you visit the Eleven Sports Network outside Taiwan then you’re blocked from viewing. But, there’s a really simple way you can unblock Eleven Sports Network and watch from anywhere in the world. All you’re going to need to unblock Eleven Sports Network and watch the Premier League 18/19 in your country is an app called a VPN. A VPN allows you to disguise your location and appear somewhere else. Resulting in you being able to watch the EPL from anywhere in the world. Below I’ll show you where to get a VPN and how to use it. To watch the Premier League on Eleven Sports Network you’ll need to sign up for a VPN service. Not all support Taiwan so it’s important to get one that does. I recommend using ExpressVPN because not only do they support Taiwan but you can also get 3-months free on their annual package saving up to 49% for watching the entire season. They’ve also got a handy 30-day money back guarantee in case you can’t get it working. VPNs work on almost all devices from phones to tablets, computer to laptops and even the Amazon Fire TV / FireStick. Go to the Products section of their website and download the app for your device. Press All, Asia Pacific and then press Taiwan. The app should connect automatically for you but if not press Connect. Once the app has connected head over to the Eleven Sports Network website. Sign up for a subscription and enter your payment details like normal. Once you’ve signed up you’ll be able to live stream any of the matches they’re showing. You’ll need to be connected to your VPN app as explained in the steps above to watch the matches live. The Premier League 2018-19 season kicks off on Friday, 10th August 2018 with an opening match between Manchester United and Leicester City. This season promises to be one of the most exciting so far. With all top teams strengthening their squads the title can again be anyones for the taking. Manchester City will no doubt be favourites to retain their title this year after winning the 2017-18 season quite convincingly. However, with Liverpool, Manchester United, Arsenal and others all adding interesting signings there really will be quite a battle to take this year’s title. Arsenal has added ball winning midfielder Torreira to their squad. Liverpool has added a whole host of top players including Keita and shored up their badly needed goalkeeping position with Brazilian, Alisson. Riyad Mahrez finally made his move to Man City and with them losing next to no players it means their squad is even stronger than the one that breezed through the 17-18 season. Man United added Fred, Chelsea acquired Jorginho and even clubs like West Ham brought in Anderson and premier league new boys Wolves secured Rui Patricio. With new players on the scene, the 2018-19 Premier League season is certainly going to be one of the best. Don’t forget with a VPN from ExpressVPN you can watch the entire Premier League season without cable from anywhere in the world live online. To watch the Premier League 18/19 without cable you’ll need to sign up for Eleven Sports Network in Taiwan. By using an app called a VPN you can unblock Eleven Sports Network anywhere in the world allowing you to watch the Premier League in your country. Eleven Sports Network costs just £23 (or $30) for the entire season and with a VPN service from ExpressVPN you can get 3-months free on their annual package saving you 49%. 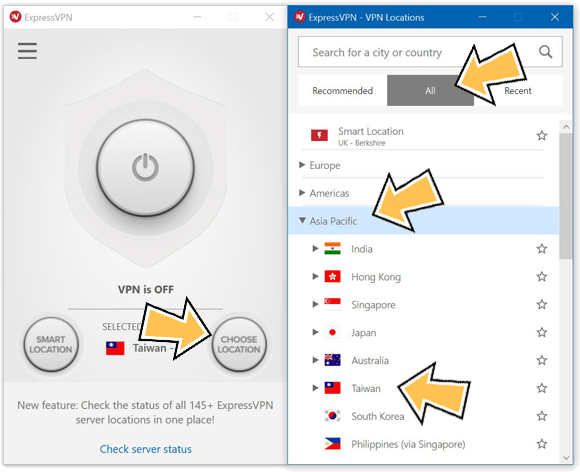 Click the button below to get ExpressVPN, sign up for their service and then download their app. On their app connect to Taiwan. You can then sign up for Eleven Sports Network and watch all the Premier League 18/19 matches in any country. I would love to know what team you support and who you think will win this year’s title. Let me know in the comments section below.